The Jabalpur-based MP Power Management Company Limited released the financial bid result of its 300-MW solar power plant last week. The result is promising as the lowest bidder for the project, Mauritius-based SkyPower Southeast Asia Holdings Limited, has offered to provide power at a tariff of Rs 5.05 per unit (KWh). Sky Power’s bid is 22 per cent lower than the Madhya Pradesh government’s lowest tariff rate of Rs 6.47 per unit offered last year. In total, 12 bidders were selected. 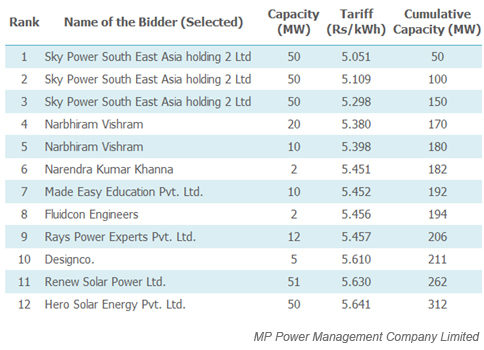 Among them, Hero Future Energies offered the highest bid price with Rs 5.64 per unit. Smaller players like DesignCo, Fluidcon Engineers, Narendra Kumar Khanna and Made Easy Education managed to bag 19 MW in total. In October 2014, India’s lowest bid in solar power stood at Rs 5.25 and 5.35 per unit respectively for two 40 MW projects in Andhra Pradesh. They were allotted to US company First Solar. However, owing to the very low price quoted First Solar was allowed a 10 per cent escalation in the rate after first year. Reduction in solar energy tariff is raising hopes among bidders that it will reach grid parity soon, energy experts say. 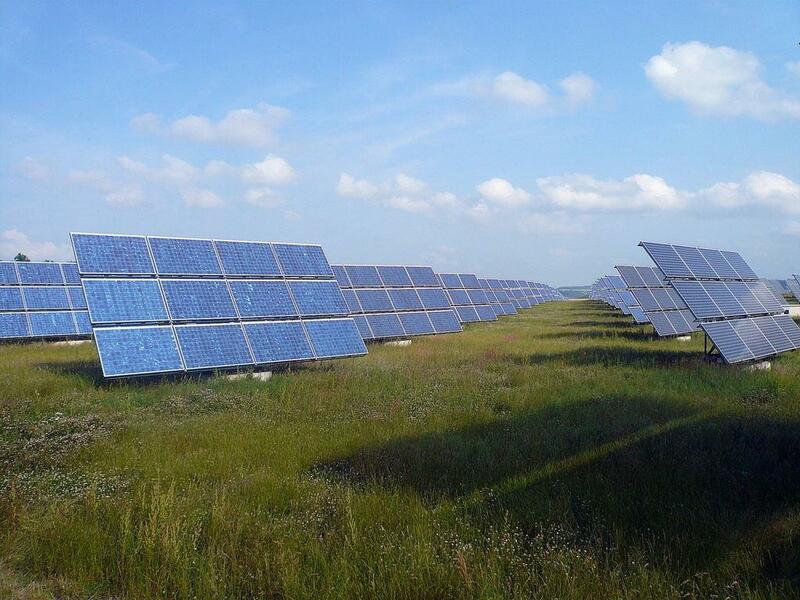 Grid parity means that the rate of solar energy will be equal to the Centre’s conventional power rate. Several companies are taking advantage of reduced prices of solar equipment and installation charges. This is a dangerous trend.There is nothing to feel gung ho about this.The tariffs are too low to be viable(even if foreign funds are made available),and I have noticed that quality and reliability of plants including their protection systems being erected are taking a big hit in the last two years, irrespective of who is erecting them.Moreover, good quality and reliable panels need to pass all the stringent tests during manufacturing and in the field(very important), if international testing protocols are to be followed,and such panels will not sell cheap.